Photo courtesy of Flickr / Robby Van Arsdale. Burritos are good. Free burritos are even better. The food delivery app Postmates teamed up with the national holiday website NationalToday.com to rank U.S. cities on the "Postmates Cinco de Mayo Burrito Index" in honor of the upcoming holiday (tomorrow, duh). This was determined by each cities' number of burrito deliveries, the frequency of such deliveries and the general preference for burritos over other food options. The bad news? St. Louis totally flopped on this index — we ranked number 25 out of a list of 30 cities (Los Angeles won, in case you're wondering). The good news? You can still get a free burrito out of this thing. Since we apparently don't eat burritos often enough, Postmates is bribing — er, "rewarding" — us, with a free burrito to the first 10,000 St. Louisans who download the Postmates app and order on May 5. Download the app at this link, add a burrito to your cart from a local or chain restaurant and use the code "CINCODEMAYO." 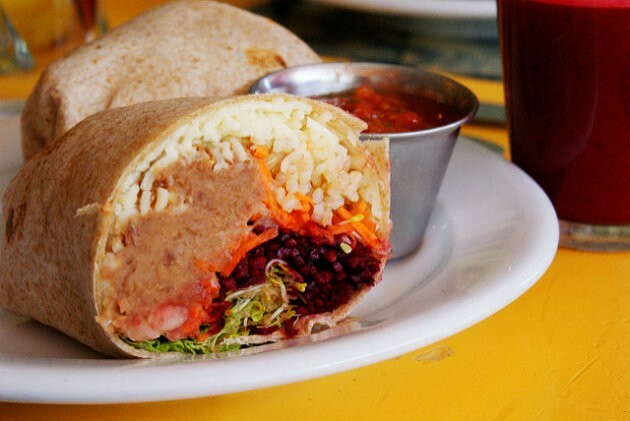 And bam — free burrito (if you're one of those lucky 10,000 people, of course). And if a free burrito isn't enough consolation for our bad placement, just remember: Ted Drewes still reins as king on SoolNua's #worldICECREAMindex.